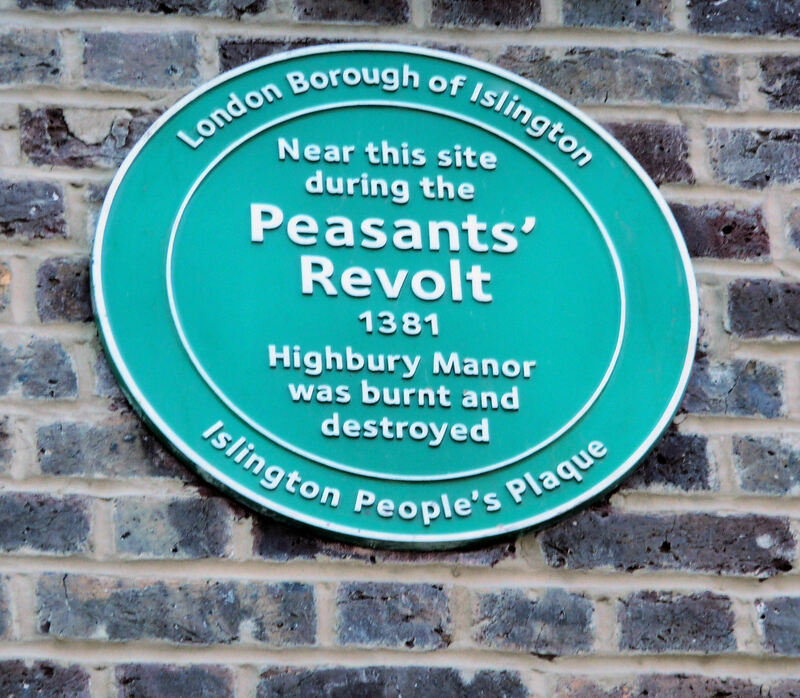 When Highbury’s Manor House was destroyed in the Peasants’ Revolt of 1381, its adjoining farm was spared. In the years that follow, the former grange of the Knights of St John becomes known as Highbury Barn. It acquires a reputation. Land all round the one-time Manor House farm remains rural countryside for hundreds of years after the Peasants’ Revolt. Cattle from the rest of the country, destined for London’s Smithfield Market, graze in the fields of Highbury before the final leg of their journey. Londoners come to rural Highbury for its ‘good air’ and its dairy delights. 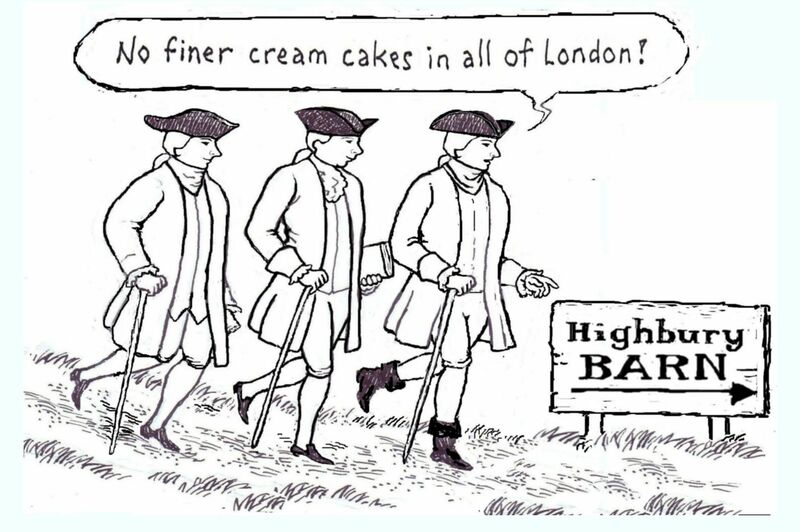 As well as Holloway cheesecakes, hawked daily in the city, dairy delights are available from Cream Hall, a farm on present-day Legard Road, & Highbury Barn. In 1740, a small Cake & Ale House opens in the barn, with cakes dipped in frothing cream, custards, ale brewed on the spot, & syllabubs. Originating in Tudor times, syllabubs were a mixture of milk fresh from the cow, ale & cider. 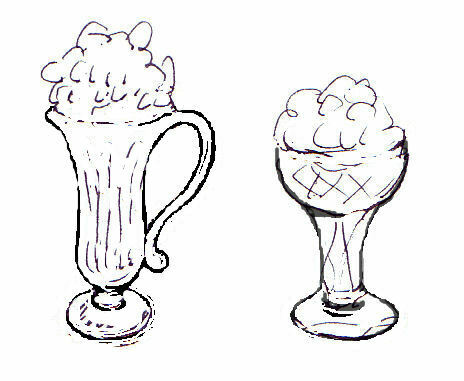 By the time of Mrs Beeton (1861) they consist of sugar, lightly curdled with wine, put in a bowl & placed under a cow; milking the cow creates froth on top. Tea has quite a role to play in the history of Highbury Barn. The availability of tea today is largely taken for granted, but there was a time when it had yet to be introduced to the western world. 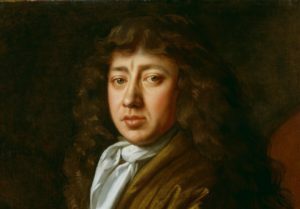 On 25 September 1660, noted diarist Samuel Pepys drinks his first cup of tea. He has been discussing foreign affairs in the Navy Office with a group that includes Sir Richard Ford, former Commissioner in The East India Company, who “.. afterwards did send for a Cupp of Tee (a China drink) of which I never drank before”. 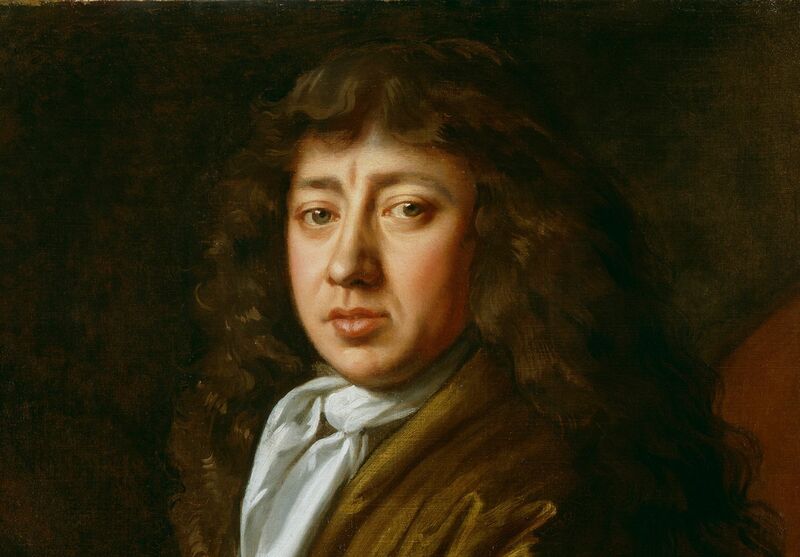 Sam Pepys is a coffee drinker. He is a habitue of London Coffeehouses, where one early sampler likened the drink of the time to a “syrup of soot and the essence of old shoes”. https://publicdomainreview.org/2013/08/07/the-lost-world-of-the-london-coffeehouse/ Dr Matthew Green’s walks include The Lost World of the London Coffeehouse. “…pointless enjoyment was frowned upon. Cromwell shut many inns and the theatres were all closed down. Most sports were banned. Boys caught playing football on a Sunday could be whipped as a punishment. Swearing was punished by a fine, though those who kept swearing could be sent to prison. 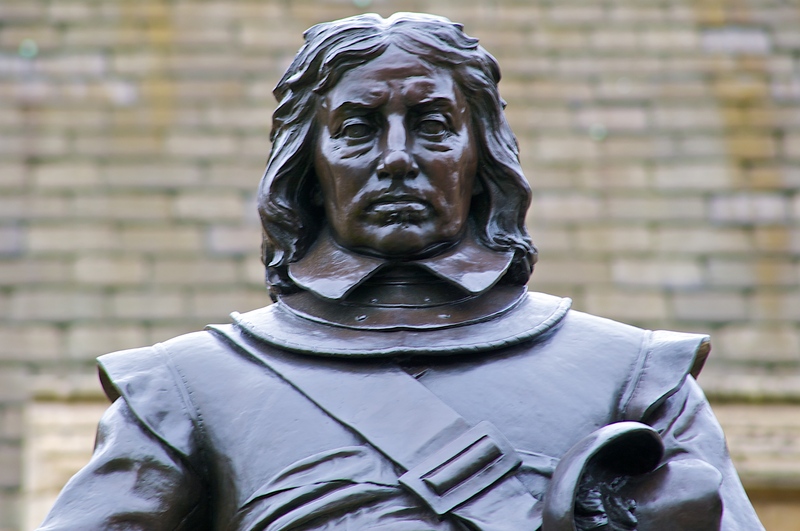 Cromwell believed that women and girls should dress in a proper manner. Make-up was banned. Puritan leaders and soldiers would roam the streets of towns and scrub off any make-up found on unsuspecting women. Too colourful dresses were banned. After Cromwell’s death in 1658, his son Richard leaves in 1659. 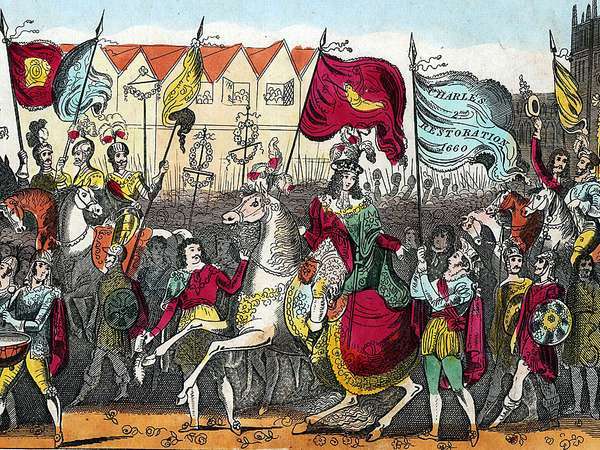 The exiled Charles II is asked to return as King of England. He agrees, & the monarchy is restored. Music, sport, science & the arts are no longer banned. 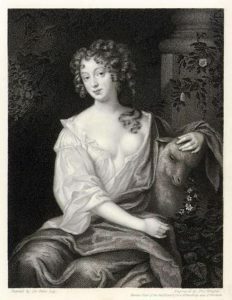 In the restored theatre under Charles II, women now perform. All parts had previously been taken by men. 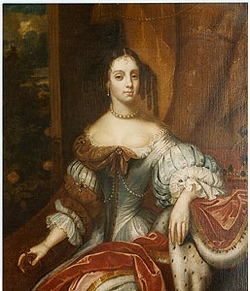 In 1662 the newly crowned King marries a Portuguese princess, Catherine of Braganza. Tea is the favourite drink at the Portuguese court, & dowry gifts to King Charles from Catherine’s father for their wedding include a chest of tea. The young queen’s influence has much to do with tea becoming the fashionable drink at the English court. By June 1667, tea is not only considered fashionable, but healthful and medicinal as well. 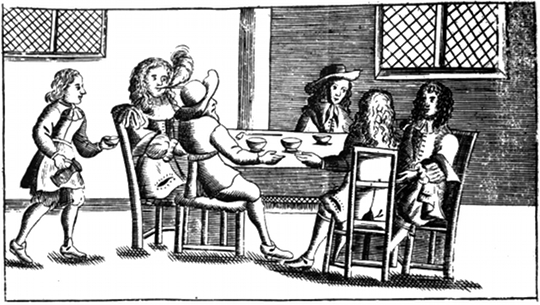 By the early 1700’s, tea is being consumed in this country in the privacy of drawing rooms or drunk – by men only – in coffeehouses. “Experiencing the Dutch “tavern garden teas”, the English developed the idea of Tea Gardens. Here ladies and gentlemen took their tea out of doors surrounded by entertainment such as orchestras, hidden arbors, flowered walks, bowling greens, concerts, gambling, or fireworks at night. It was at just such a Tea Garden that Lord Nelson, who defeated Napoleon by sea, met the great love of his life, Emma, later Lady Hamilton. Women were permitted to enter a mixed, public gathering for the first time without social criticism. As the gardens were public, British society mixed here freely for the first time, cutting across lines of class and birth. so from the tea gardens came the idea of the tea dance, which remained fashionable in Britain until World War II when they disappeared from the social scene. 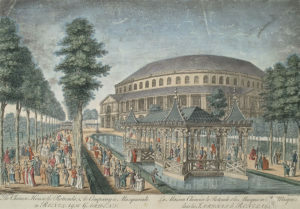 Famous English composer James Hook’s songs were regularly performed at the main London pleasure gardens: Marylebone, Covent, Vauxhall, Ranelagh. 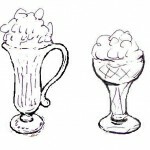 Highbury has its dairy delights and that ‘good air’, which people will travel some distance to breathe. Highbury Barn, an Islington dairy farm with a small cake and ale house, now takes on the mantle of the tea garden by offering tea as well as syllabubs and the rural idyll. 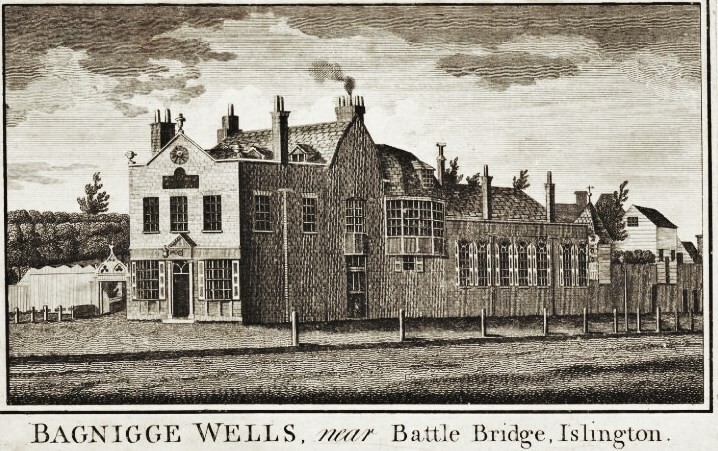 Islington’s wells & spas also attract the public – Clerkenwell, Sadler’s Wells, Mus-well, St Pancras Well & others, including this one, to the southeast of Highbury Barn & reached by boat via The River Fleet (now King’s Cross Rd). 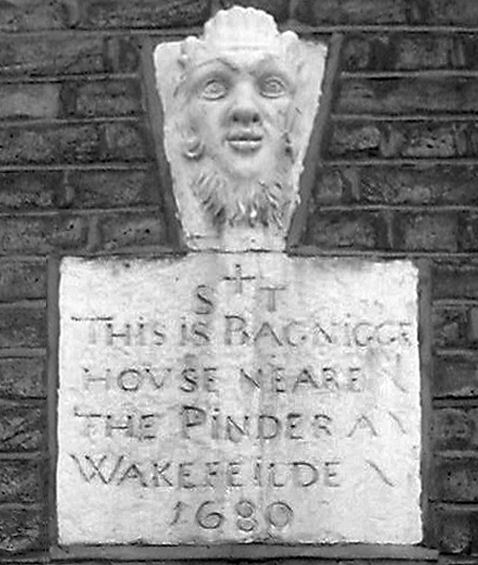 https://venturesintopography.wordpress.com/2011/02/03/the-lost-pleasure-gardens-of-finsbury-and-pentonville/ The walk by John Rogers and Nick Papadimitriou to some of the area’s historic spas, baths and wells is on a Resonance FM podcast which you can download at the end of this piece. 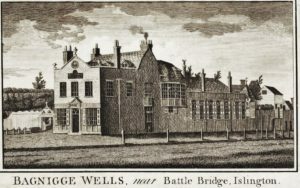 Halfway between Highbury Barn & Bagnigge Wells is White Conduit House. “The Charterhouse Monastery used the spring at Clerkenwell and later in 1641 it was enclosed with an arched structure of flint and brick known as White Conduit. 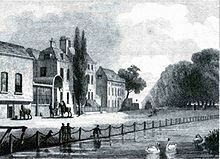 It was much later, in 1730, that a pleasure gardens and tearooms opened called the White Conduit; this resort was patronised by the genteel together with their servants into the 1820s. 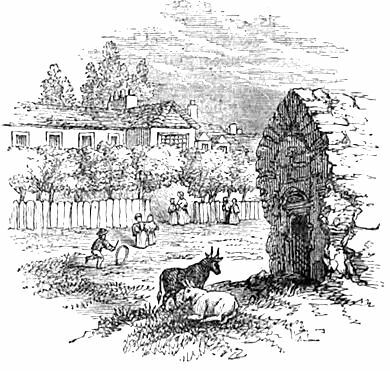 ” For the better accommodation of ladies and gentlemen, I have completed a long walk, with a handsome circular fish-pond, a number of shady pleasant arbours, inclosed with a fence seven feet high to prevent being the least incommoded from people in the fields; hot loaves and butter every day, milk directly from the cows, coffee, tea, and all manner of liquors in the greatest perfection; also a handsome long room, from whence is the most copious prospects and airy situation of any now in vogue. I humbly hope the continuance of my friends’ favours, as I make it my chief study to have the best accommodations, and am, ladies and gentlemen, your obliged humble servant, Robert Bartholomew. Note. My cows eat no grains, neither any adulteration in milk or cream. 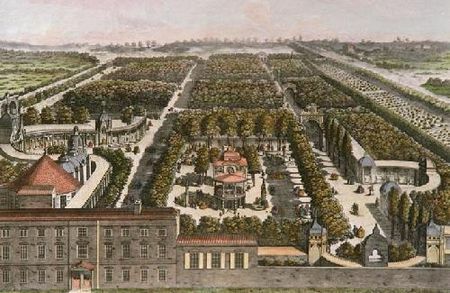 “Over 200 outdoor pleasure gardens & tea gardens proliferated in London from the 16th to the early 19th centuries. 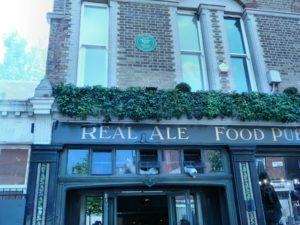 Primarily frequented by working class people who lived in the city, they were located in the pleasanter parts of London’s suburbs. In days of yore, the countryside was only a walk, short carriage drive or ferry ride away from the city center. 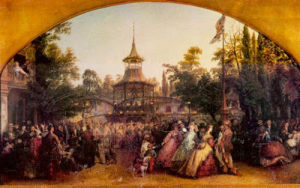 Tea & pleasure gardens afforded the populace a respite from the sights, smells, & congestion of city life.” “18th & 19th Century Pleasure and Tea Gardens in London.” Jane Austen’s World. “A great deal of company, and the weather and garden pleasant and it is very cheap and pleasant going thither. . . . But to hear the nightingale and the birds, and here fiddles and there a harp, and here a Jew’s trump, and here laughing and there fine people walking is mighty divertising.”— Samuel Pepys. Charles Dickens captures the feel of a summer tea garden crowd, possibly at Jack Straw’s Castle in Hampstead. “The heat is intense this afternoon, and the people, of whom there are additional parties arriving every moment, look as warm as the tables which have been recently painted, and have the appearance of being red-hot. What a dust and noise! Men and women — boys and girls — sweethearts and married people — babies in arms, and children in chaises — pipes and shrimps​— cigars and periwinkles — tea and tobacco. 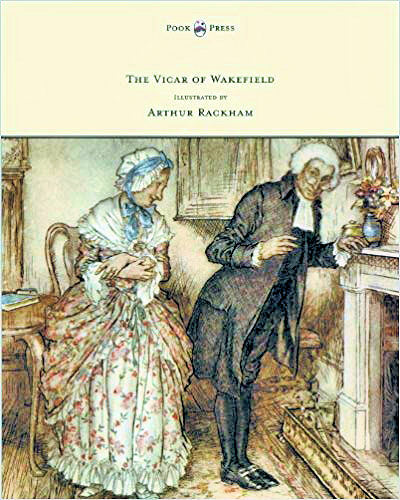 Gentlemen, in alarming ​waistcoats and steel watch-guards, promenading about, three abreast, with surprising​ dignity (or as the gentleman in the next box facetiously observes, “cutting it uncommon​ fat!”) — ladies, with great, long, white pocket-handkerchiefs like small ​table-cloths, in their hands, chasing one another on the grass in the most playful and ​interesting manner, with the view of attracting the attention of the aforesaid gentlemen​”.. It is difficult now to imagine a similar tea garden on Kings Cross Road (The River Fleet), one beyond it in Pentonville & another in Highbury, each surrounded largely by open countryside. But fewer than 300 years ago, the fresh air and greenery of these & other tea gardens are a draw for Londoners. They will take the trouble to put on their finest clothes (no ‘smart/casual’) & travel some distance to enjoy what is on offer. 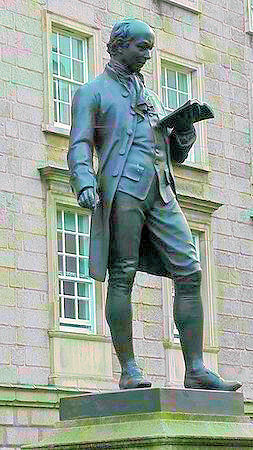 Oliver Goldsmith statue, Trinity College, Dublin. 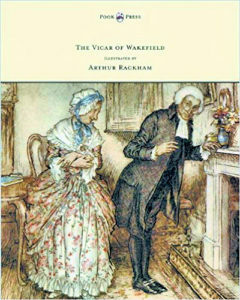 “Three or four of his intimate friends rendezvoused at his chambers, to breakfast, about ten o’clock in the morning; at eleven they proceeded by the City-Road, and through the fields to Highbury Barn to dinner; about six o’clock in the evening they adjourned to White Conduit House to drink tea; and concluded the evening by supping at the Grecian or Temple Exchange Coffeehouses, or at the Globe, in Fleet Street. 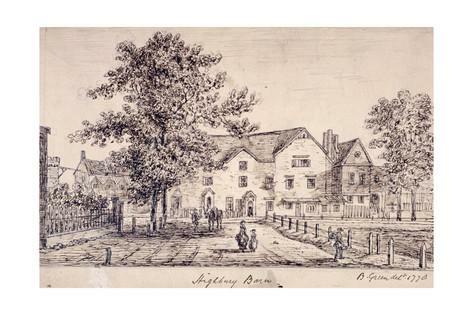 1770: Mr Willoughby the Younger, Highbury Barn’s new owner, adds to its attractions. 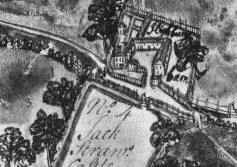 He lays out a bowling-green, trap-ball ground & garden, with a small plantation of hops at one end for a recently erected ‘ale & table-beer brewery’. The demand for home-brewed beer becomes substantial. By 1814, Mr Willoughby has built a larger brewery in Lower Holloway to cater for it. Next door the Highbury Brewery Tap, now The Lamb on Holloway Road, still brews beer on the premises. Patrons can look down on the process through a glass panel in the floor. The barn adjoining the former Cake & Ale House is ‘fitted up with a handsome exterior‘ in the early 1800’s. It is added to the Tavern’s premises & called the Highbury Assembly House. 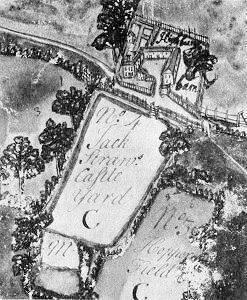 Under new proprietors John & Archibald Hinton, the farm is renamed Highbury Barn. It earns itself a reputation for hosting large gatherings in the era of the tea garden & the pleasure garden. Highbury’s clean air & rural surroundings are a draw for those working in London’s soot & grime. The Highbury Barn Tavern now attracts organisations such as the Wheelwrights, the Fancy Cabinetworkers & the Diamond Jewellers Society. In 1841 The Hintons’ huge tent caters for 3000 at the London Victuallers Society’s annual dinner & ball. Guests dance to the music of the Band of the Grenadier Guards. In 1841 a newspaper ad presents The Highbury Barn Tavern as catering for ‘parties requiring banquets, fancy fairs or galas of any magnitude’, with private rooms for small parties. Pleasure Gardens appear in the late 1700s. These outdoor venues offer various amenities – in addition to the gardens, guests enjoy the invigorating air of the counryside, eat, drink, play games & are entertained. 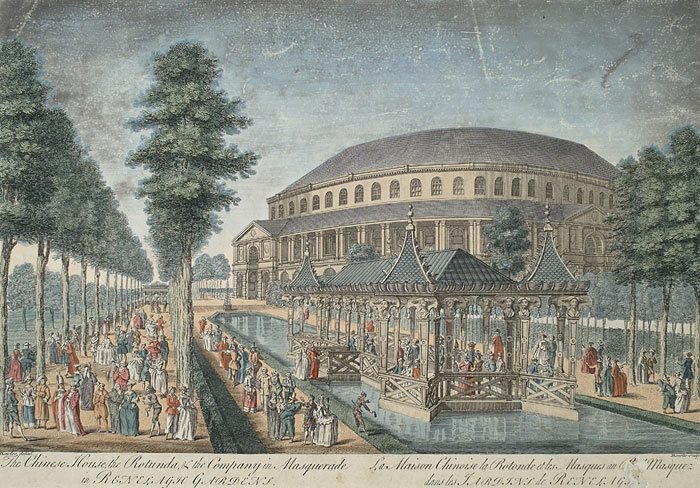 Opening in 1770 are Vauxhall Gardens (1661 – 1859), the grandest & most prestigious of all. 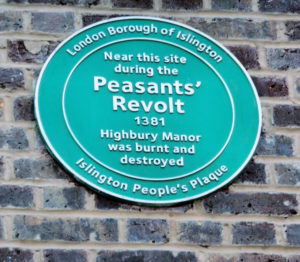 They are in Kennington, South London, reachable by boat until the building of Vauxhall Bridge. 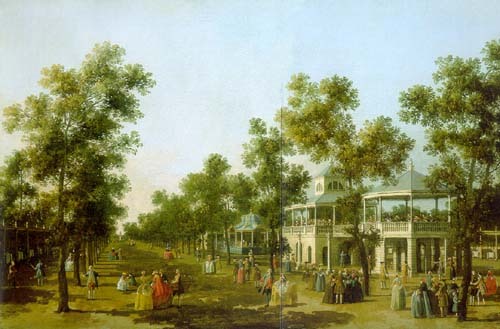 The Grand Walk at Vauxhall Gardens, Canaletto, 1770. 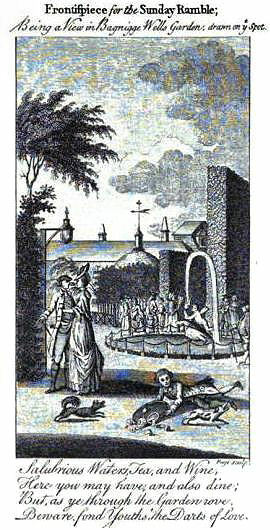 Vauxhall Gardens, James Wale, 1751. They become an elegant backdrop for the marking of national events, such as the fete held in 1813 to celebrate the victory at Vittoria by Wellington & Allies. Guests include The Duke of Wellington & most of the Royal Family; the evening’s illuminations include a transparency of the King, a mammoth picture of Wellington, a supply of rockets that rise to a “superior height” & many bands, some playing from the forest part of the gardens. 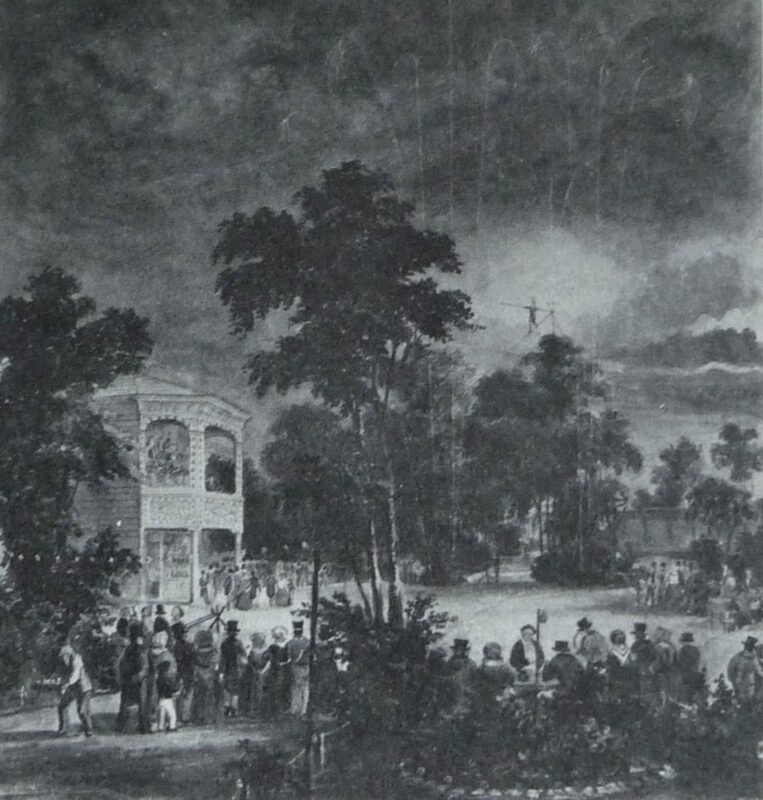 Chelsea’s Ranelagh Gardens open in 1745, and Cremorne Gardens in 1845. 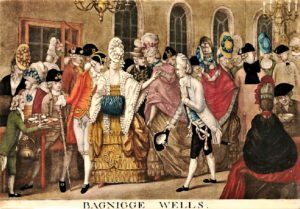 Other Pleasure Garden venues include Cumberland Gardens & Bagnigge Wells, which has evolved from its previous existence as a small spa & tea gardens. 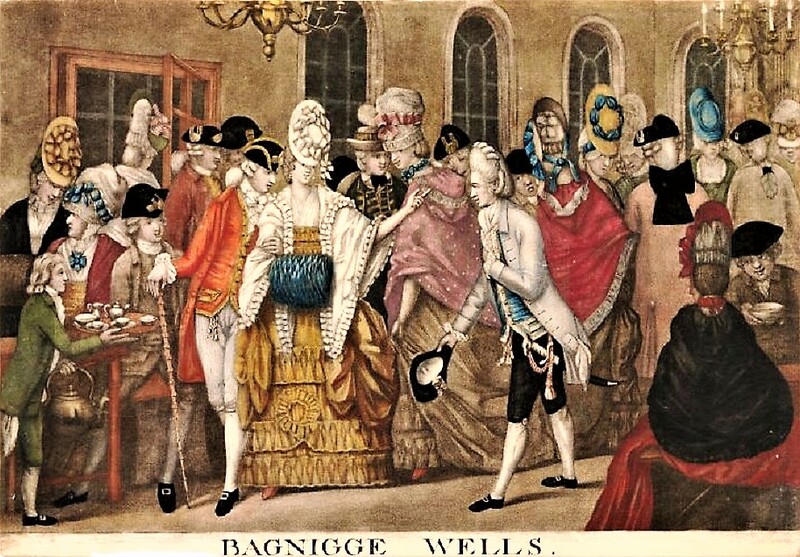 The painting of the Long Room at Bagnigge Wells below shows what a showcase for fashion it has become, with male guests wearing the current macaroni designs. Great care was taken to contrive one’s look, and the trendsetters would have sought the most auspicious surroundings in which to display themselves. “The trend of the macaroni grew out of the tradition of those who partook of the Grand Tour. Elite men in the 18th century would travel abroad across Europe, namely Italy, to broaden their cultural depth. These men adopted foreign fashions and tastes and brought them back to England where they interpreted them further. 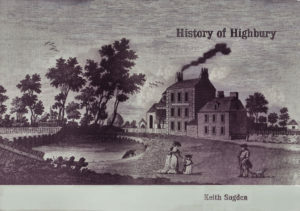 Highbury Barn; Hornsey Wood House, the grounds of which include a fine wood and an extensive piece of water; Jack Straw’s Castle, Hampstead Heath; Kilburn Wells, Edgeware Road; Mermaid, Hackney; Montpelier, Walworth; Mount Pleasant, Clapton; the Eagle, City Road; the Red House, Battersea Fields; Southampton Arms, Camden Town; Union Gardens, Chelsea; White Conduit House, Islington; and Yorkshire Stingo, Lisson Green. 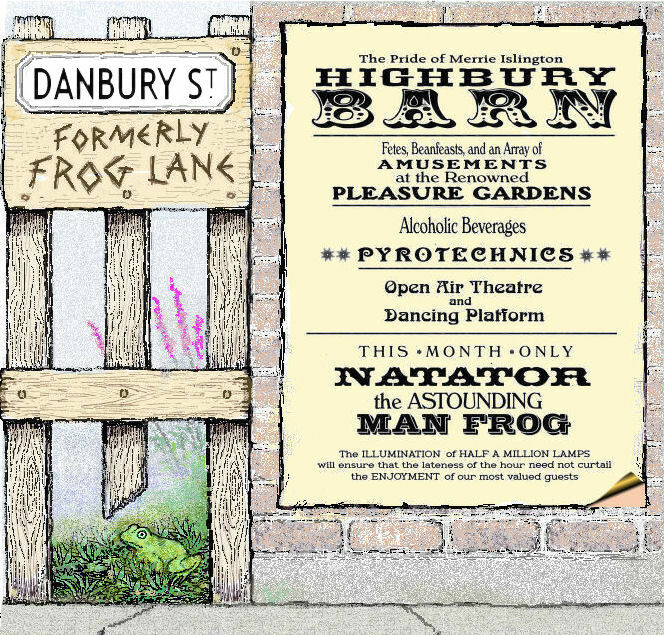 Highbury Barn has also evolved, with new pleasures added to its attractions. 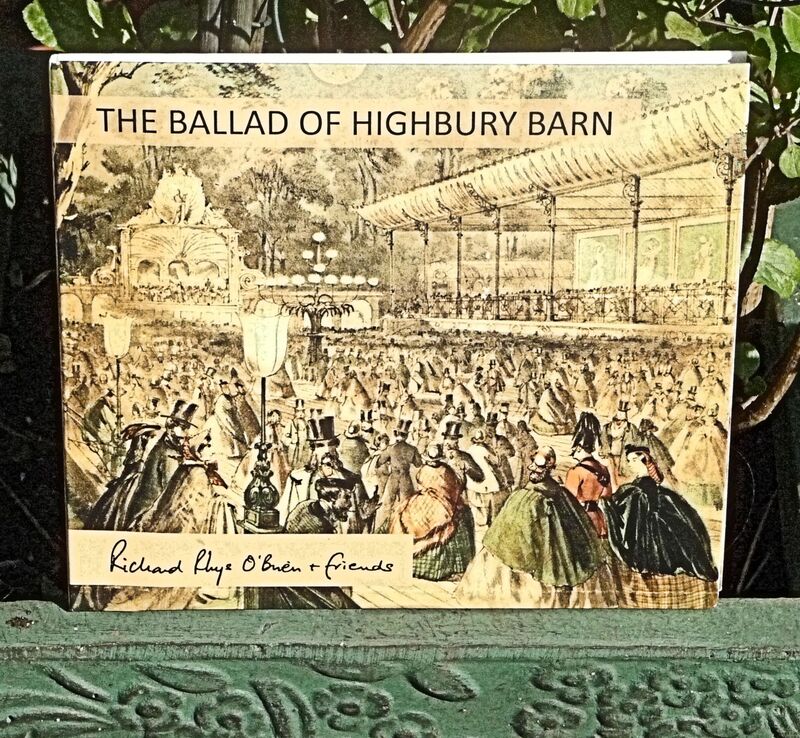 Londoners now come to rural Highbury seeking more than the fresh air, dairy delights, tea & syllabubs for which it was known. 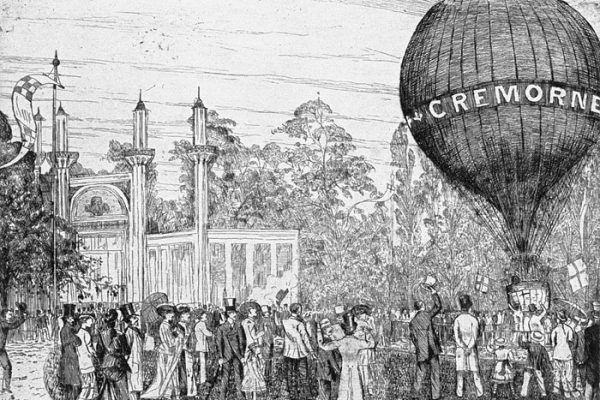 Events staged at the annual balls in the grounds of the Barn include, on the evening of 10th July 1854, a balloon ascent by Charles Green, Britain’s most celebrated aeronaut. By 1865 entertainments include a huge dancing platform, a musical festival, tightrope walking, pantomime, fireworks, ballet & the original Siamese twins. Tea grounds and pleasure grounds are favoured lift-off points for balloon ascensions. 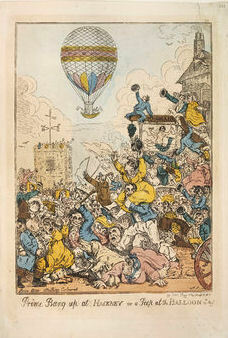 These are early days in the history of flight, and a small number of brave souls put themselves at risk to ascend in baskets dangling from hot air balloons. Balloon ascensions are popular with spectators, drawing the crowds. Charles Green, Balloonist. Stipple engraving, 1839 – Pubd by G.P. Harding, Lambeth, Day & Haghe, Lithrs. to the Queen. Charles Green’s ascent from Highbury is one of 500 such balloon ascensions he makes in his lifetime. 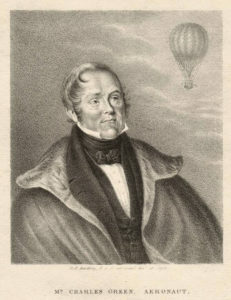 He was seated on his pony for a documented ascent from The Eagle Tavern on nearby City Road (16 August 1828), descending at Beckenham, Kent after half an hour aloft. 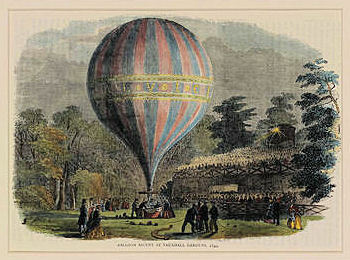 Balloon Ascent at Vauxhall Gardens, Charles Green’s Royal Victoria Balloon, engraving, 1849, V&A collection. In 1826 a “Minor Vauxhall” was established here, and the place became somewhat disreputable. 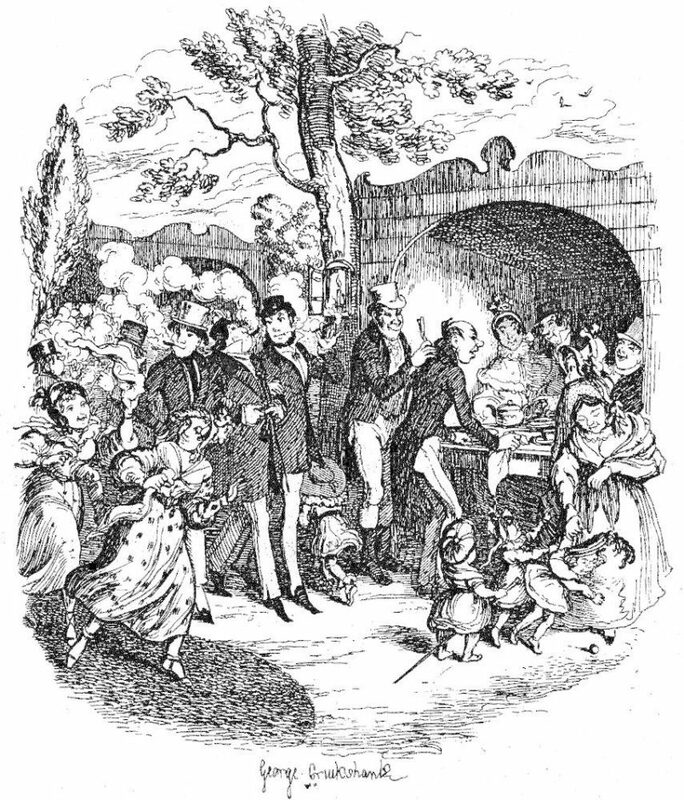 Mr. Chabert, the fire-eater, after a collation of phosphorus, arsenic, and oxalic acid, with a sauce of boiling oil and molten lead, walked into an oven, preceded by a leg of lamb and a rump-steak, and eventually emerged with them completely baked, after which the spectators dined with him. 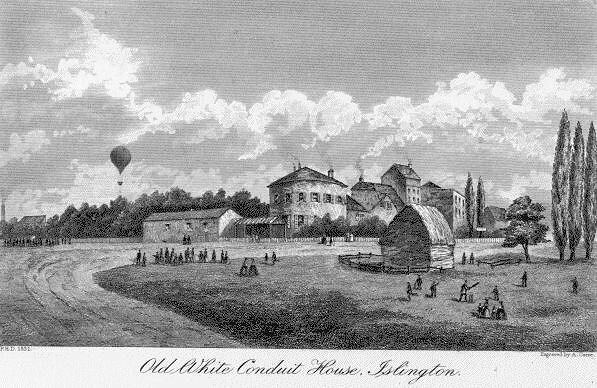 Graham also ascended from these gardens in his balloon. In this year Hone talks of the gardens as “just above the very lowest,” though the fireworks were as good as usual. “Never mind Pentonville, it is not now what it was, a place of some rural beauty. The fields behind it were, in my time, as wild and picturesque, with their deep-green lanes, richly hedged and studded with flowers, which have taken fright and moved off miles away— and their ‘stately elms and hillocks green,’ as they are now melancholy and cut up with unfurnished, and, of course, unoccupied rows of houses… The march of town innovation upon the suburbs has driven before it all that was green, silent, and fitted for meditation. It spent a while as an area notorious for assignations and unseemly conduct – and then it disappeared from view altogether.” Its owner was bankrupted when developers of nearby housing contrived to use the health-giving spring waters as a cesspit. In 1854 there is dancing on Highbury’s Leviathan Platform every evening from seven until half-past ten, with music provided by the band of the Grenadier Guards. At the end of the season the renewal of the dancing license is refused by the magistrates. The much-contested license for dancing is again granted in October 1956; from this date there is a decline in the reputation of Highbury Barn – as with other pleasure gardens, the lateness of the opening hours brings more opportunities for drunkenness, pickpockets & prostitution. In these days of bouncers and security, we can only imagine how difficult it was at the time to maintain the good reputation of a place such as this, The Pride of Merrie Islington, without such protection. The Bow Street Runners, the first modern police force, is created in 1829. By 1856, even rural communities are compelled to have their own police force. Any law enforcement for Highbury would have had to spend an inordinate amount of its time policing the Barn and its late-night pleasures. Other Pleasure Grounds have lost their lustre. Vauxhall Gardens, the grandest of them all, has problems with its ‘dark walks’… Vauxhall’s gates are shuttered for good in 1859. In May 1861, Mr Edward Giovanelli takes over the lease. He constructs a new music hall. He engages the famous gymnast Leotard for the whole of the season of 1862. In 1865 the music hall is converted into a theatre, the Alexandra, where Mr Giovanelli himself takes part in performances such as ‘The Lottery Ticket’ & ‘Mother Goose’. The Leviathan Dance Platform is enhanced with the light of half a million lamps. 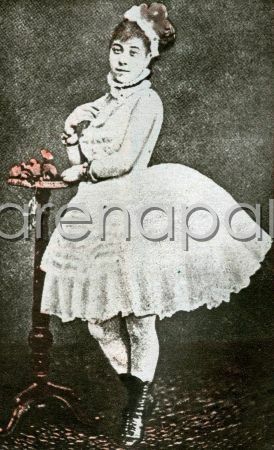 In 1868 Blondin, the noted French daredevil acrobat & tightrope walker, performs at Highbury Barn. 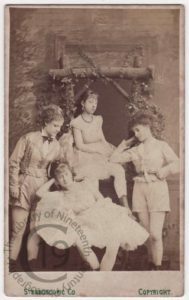 In June 1870 a dance troupe appearing in London and Paris comes to Highbury Barn. The ‘Parisian Colonna’ Troupe (Misses Colonna (Newman), Wright, Gerrish & a fourth dancer yet to be identified) perform a shockingly rude version of the French Can-Can. 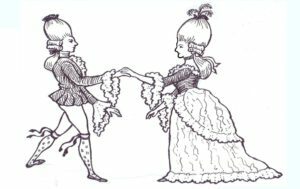 The audience is scandalized, & the next application for renewal of the pleasure grounds’ dancing license is refused by the magistrates. The Highbury Working Transcribed (Part 3): ‘Pepper’s Ghost’ (2001). This is part of an online website, a blog of an audio recording by British author & comic book writer (Marvel Comics, DC Comics, Watchmen) Alan Moore, done in 2001 & translated by Jody Macgregor. It takes you into the declining years of the Pleasure Grounds Era: you are there at Highbury Barn in the midst of it all. Compare & contrast with Dickens‘ ‘Sketches by Boz’ above, set in a Sunday afternoon Tea Garden. builds the Alexandra Theatre and crams the fog with lamps and voices. that could spread, infect the city. 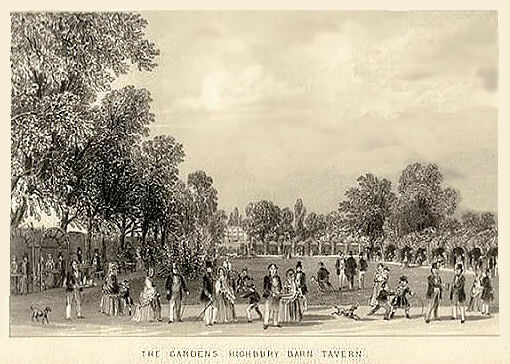 Highbury Barn loses its license as an entertainment venue in 1870. 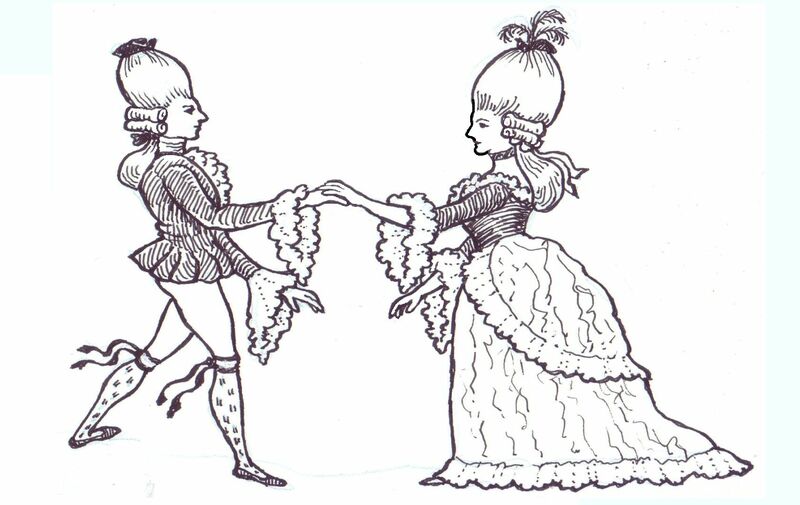 The scandalous dancing of the Colonna Troupe appears to have been the last straw. The owner, Mr Edward Giovanelli, is ruined, having reportedly spent £35,000 on the Pride of Merrie Islington. 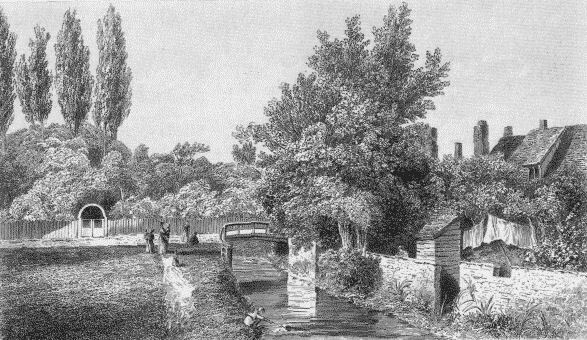 Cremorne Gardens close in 1877. Bagnigge House & The White Conduit are falling out of favour. One reason for Pleasure Ground closures is the coming of the railways, with Londoners now able to get right out into the countryside. Has anything of this once famous landmark survived? The Band of the Grenadier Guards provided the music for the Leviathan Dance Platform. They survived the loss of their North London venue, and perform to this day. The band has various ensembles – Concert Band, Marching Band – their Dance Band ensemble would have been performing at Highbury Barn. The Highbury Barn, the pub that stands on part of the original site, retains the name of its famous predecessor. 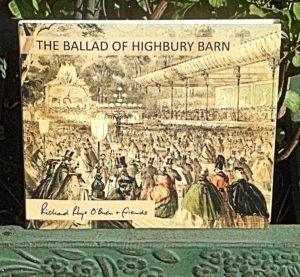 Highbury Barn began life as a cake and ale house on a farm… of all the entertainments that came to be on offer here, it is food & drink that have outlasted all other pleasures. ” Towards the end of April it leaked out that Punch Taverns had put the Highbury Barn Tavern up for sale. Then the rumours started flying. It was revealed that Sainsbury’s wanted to convert it into a local supermarket. When an article appeared in the Islington Gazette, Sainsbury’s backed off, but admitted they were “still looking for opportunities” to find premises in the Barn. At the time of writing, the rumour is that a property company is doing a deal to redevelop the Taven. They might create a retail outlet, giving outside interests an “opportunity” to move in. 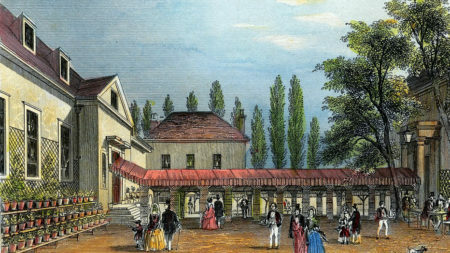 William Willoughby opened the Highbury Barn in 1770 as a place of entertainment and it flourished for more than a century. The present Highbury Barn Tavern was built on the same site in the 1860s and continued the tradition of hospitality. It’s fair to say that Highbury has grown up around this landmark building. A pub on this site defines Highbury Barn. We can argue about what sort of pub it should be, but we must keep a pub on the site. Nobody refers to this little stretch of road as Highbury Park – though that’s its proper name. We all know it as Highbury Barn. One of the good things about living in Highbury is the feeling that you are living in a village. At the heart of a village are the village shops. Highbury Barn is mostly composed of owner run, independent shops. We know the owners – and they know us, their customers. We are all part of the community. 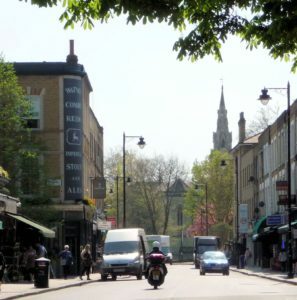 The HCA represents over 900 residents & businesses on all aspects of living & working in Highbury, Lower Holloway & Finsbury Park. email hcanews@hotmail.com or write to PO Box 43396, N5 9AD. The current manager of The Highbury Barn, Tony Bedwell, was interviewed by blogger Nicola Baird in February 2014. Worth a read, perhaps followed by a visit to the pub. Look into the history of your own neighbourhood and local area. We have discovered so much that happened here, in our bit of North London; now thanks to the internet many untold stories can be shared. When you walk out onto your high street, knowing some of what has gone before, you look at it differently.